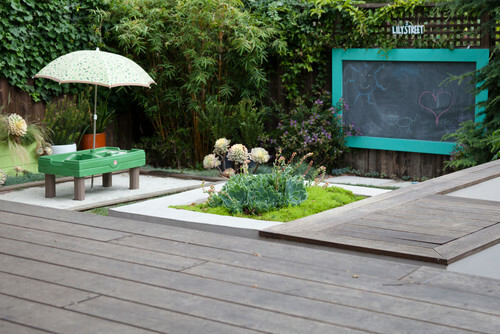 Now’s the time to get that backyard ready for summer! 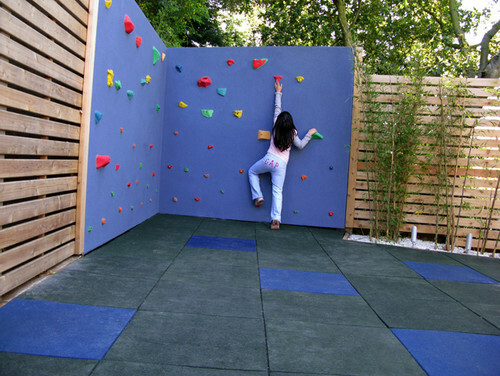 With a little creativity, your yard can soon become the best one on the block (which comes with its own challenges, but at least your kids aren’t whining anymore). 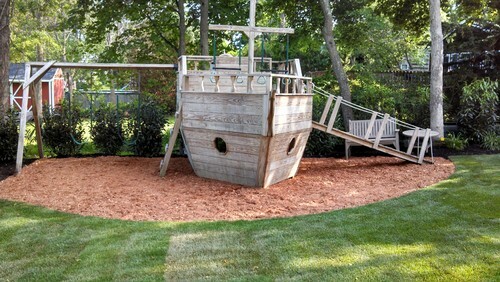 There’s something for every yard, every age, and every budget. 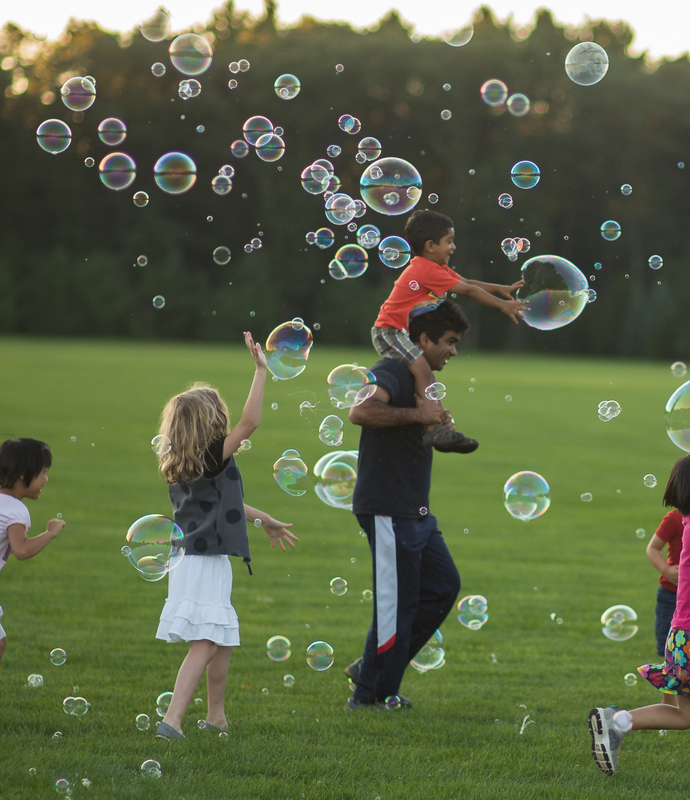 Even if you’re not investing in any new fixtures, stock up on bubbles, balls, chalk, and all those wonderfully messy outdoor toys and games for hours of summer fun. 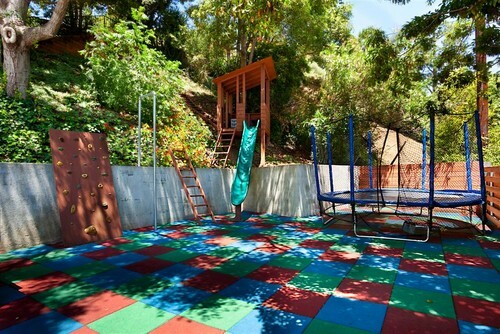 It’s the original backyard plaything. 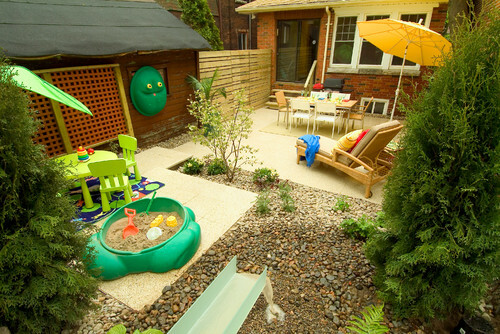 What kid doesn’t love to spend hours digging in the dirt? 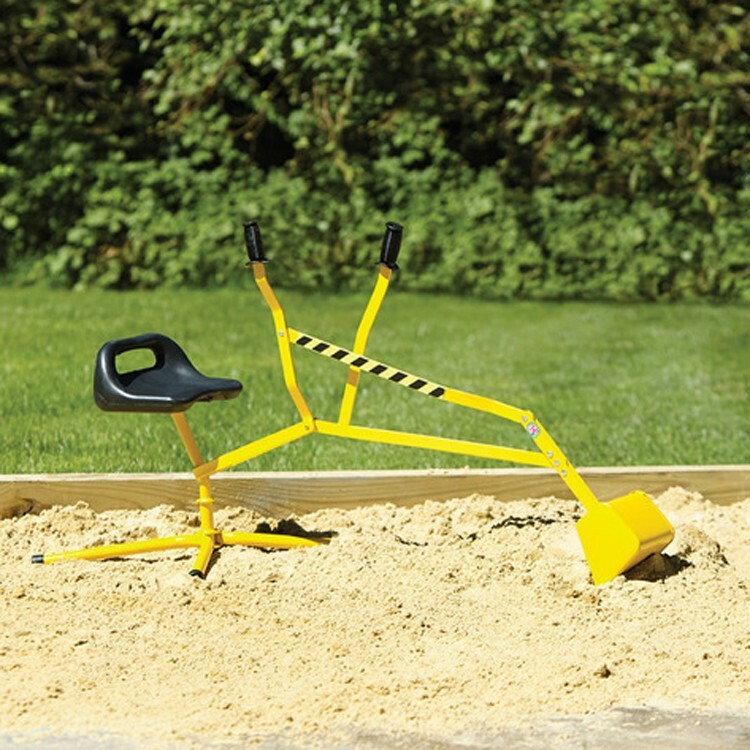 Trick it out with plenty of sand toys (shovels, pails, dump trucks, rakes) or even a larger ride-on digger (tack on some more $ for that). 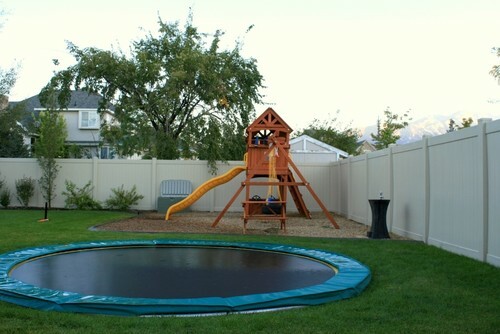 Be sure to outfit it with a tight-fitting lid to keep out animals, water, and insects, and place it in a place that’s not significantly windy (sand in little eyes does not make for fun playtime). Splash pad, water table, fun sprinklers, slip n’ slides, squirt guns, buckets, wading pools… Water play is the perfect way to keep kids busy (and cool!) for hours on long summer days. 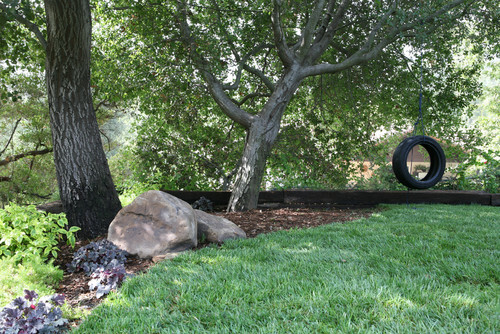 And most water toys are inexpensive (but beware: the extra cost shows up on water bill!). Just be sure to empty all water at the end of the day – standing water poses a drowning hazard and is a breeding ground for mosquitoes. 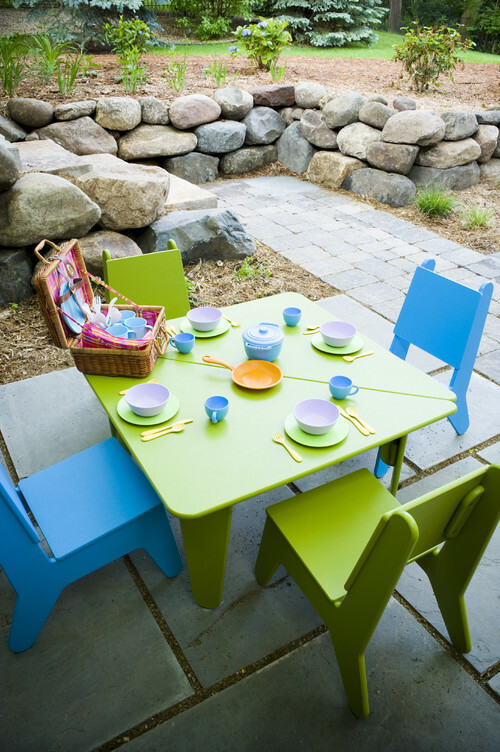 Projects, Play-Doh, meals al fresco (kids eat better outside, don’t they? 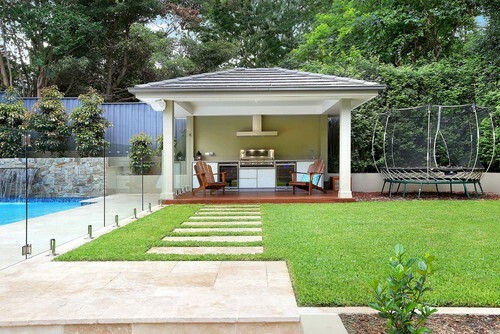 ), tea parties… bring it all outside for the summer with a designated place for the kids to sit and eat/play/live. Nostalgia defined! 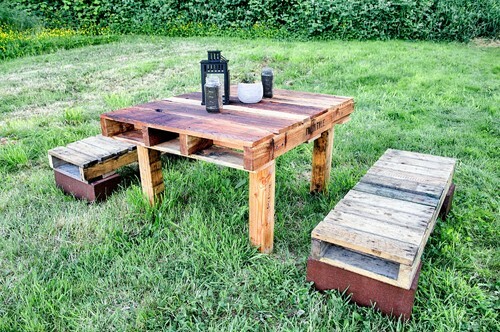 And it’s super cheap… an old tire, some sturdy rope, and an online tutorial will get you in business. 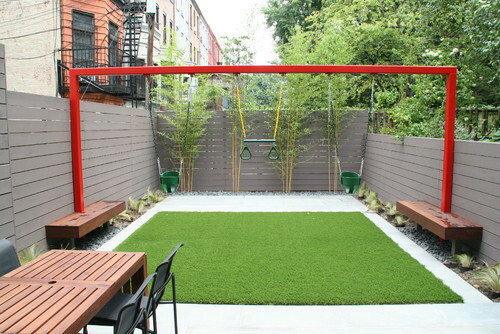 If you want to go a little more sophisticated (and spend some more money), choose a basic swing set. 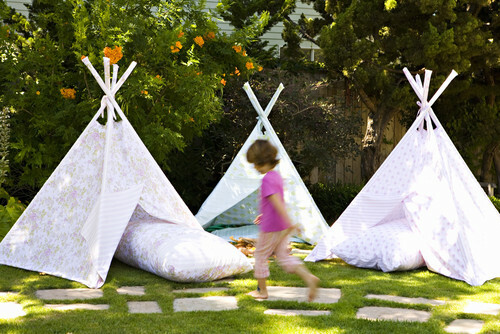 Give the kids their own little hideout and they’ll astound you with the creative uses and games they’ll invent! Perfect for those hot, sticky, sunny days. Some cash to spare? These add-ons are totally worth it. 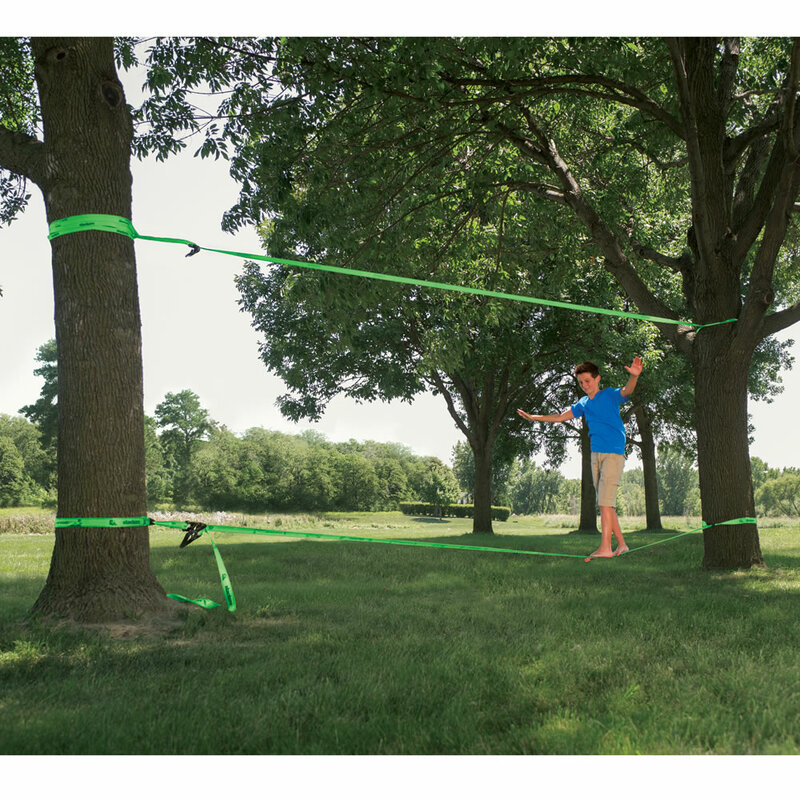 Not only is it less expensive than you’d expect (and easier to install, too), a home zip line (or its cousin the slackline) provides a great workout for your kids – or for you! 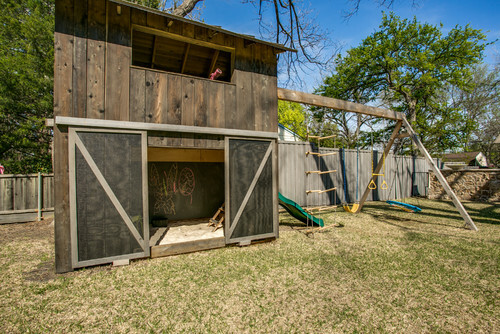 Like a tent, a playhouse will encourage hours of imaginative play. 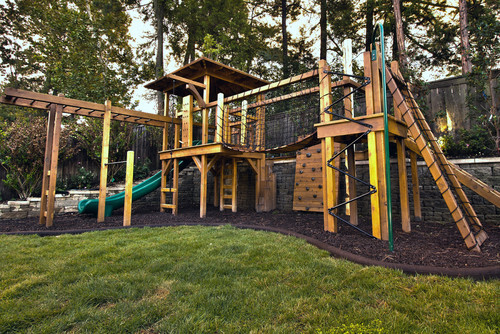 It can be a castle, a fort, a pirate ship, an igloo, or just a house… but either way, it’s loads of fun. Of course, some are more expensive than others, but you’re sure to find one that fits your budget. 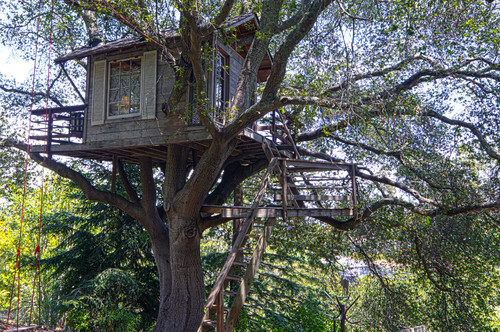 If you’re adventurous (and your kids are older and reasonably responsible), try a treehouse. 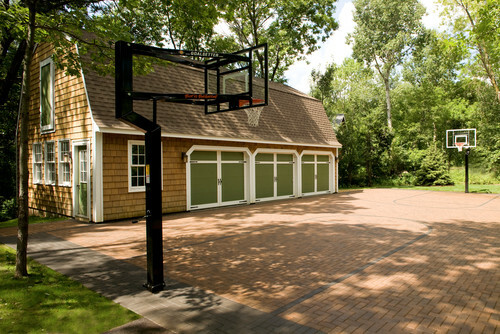 Basketball hoop, hockey nets… most sports equipment is fairly easy to install without taking up too much space. 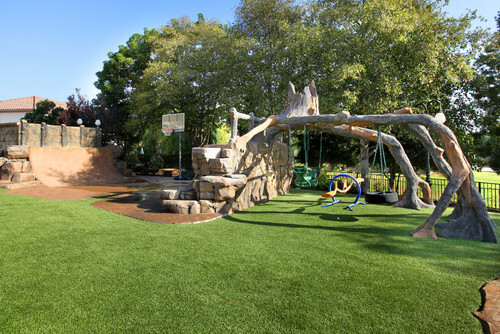 Get what your kids (and the neighborhood kids) are into and turn your yard into the local sports enthusiasts’ playground! It’s worth it to invest in quality; go for vinyl (or at least high-quality wood) over standard wood for years of use. Place it in a shady spot (this is for your own sanity when the kids beg you to push them on the swings “just one more time”). 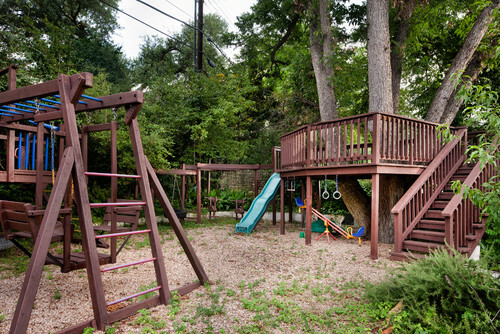 Swing sets can be simple or outrageously fun; look into all the options before buying. 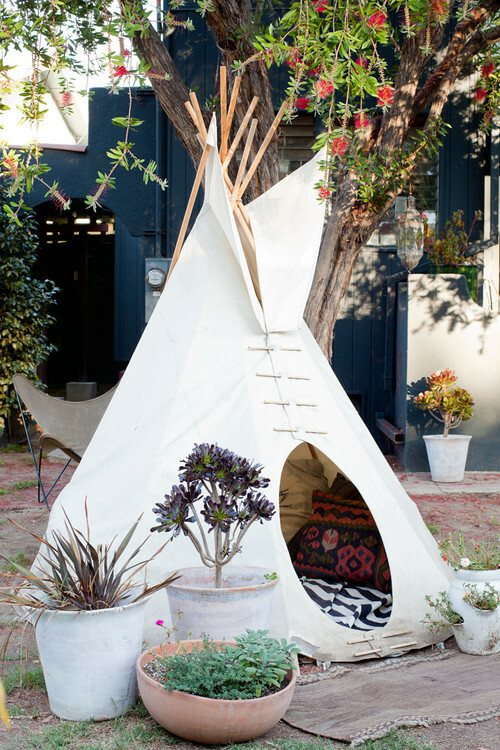 Check out these dreamy ones! 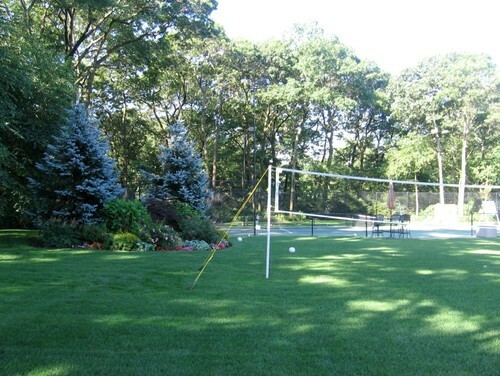 With a yard like this, you’ll never have to tell your kids twice to go out and play already!